Is Your Brain Stressed Out? Well, now it’s Sunday evening, thoughts about the new work week have entered your head, holidays are upon us, end of the year business deals, family stuff-again, why did I eat so much on Thanksgiving, why am I still eating so much, I’ve gained how many pounds already, and the list continues! Does your brain just hurt from too much information? So, I pose the question, “Are you stressed out?” Do you feel overwhelmed particularly this time of year? Well, here is some surprising information. Cluttering your brain with all this excess information is not useful. Stress has been attributed to memory loss, decreased judgment skills, poor thought organization, and difficulty in forming clear, concise thoughts. Why would you want to do that to your brain? Our brains need proper fuel, food, and maintenance to achieve optimal levels of peak performance. Now, that’s a great way to bring in the holiday season and prepare for the upcoming new year. Okay now don’t stress out, but 2011 is just around the corner-less than 5 weeks! Here is our advice on how to properly care for your brain so it will last a lifetime. First, let’s discuss fuel for your brain. You and your brain require energy to work effectively and efficiently. This means exercise for your brain and your body. Exercise your brain with knowledge and become a life long learner. We are never too old to learn. Learn a new language, a new game, join a new club or organization, volunteer somewhere new, change your daily routine. It’s all about the new learning and forming those new brain pathways through brain or neuro plasticity. Remember to exercise your body. It’s not necessary to train for a marathon or become an Olympic athlete. Recent studies have shown that just walking 6-9 miles per week decreases the risk of developing Alzheimer’s Disease. By exercising, you get the blood flowing and circulating throughout your body and your brain. It’s not that difficult to walk 6 miles. Of course if exercise is new to you, then definitely consult your physician before beginning any exercise program! Next, let us share with you our advice on brain food. Of course it’s best to eat a well balanced diet comprised of fresh fruits and vegetables, whole grains, lean meat, fish, nuts, healthy fats (olive oil, omega 3 ), dairy, fresh herbs and spices, and fiber. Your plate should have an assortment of colors to ensure you have a good balance of healthy food choices. AVOID fast food! There are really no health benefits to consuming fast foods. So, just forget about it! We eat lots of walnuts, dark chocolate, blueberries, cranberries, strawberries, wild salmon, fresh veggies with cold pressed olive oil, almonds, chicken, and fiber filled whole grains. If you’re having difficulty making “healthy” food choices or unsure about your choices, consult your physician. Of course, if you have food allergies or sensitivities as I do, always consult your doctor. I was diagnosed with a gluten sensitivity, which can impair brain function. Lovely, huh? Anyway, a healthy diet is important to maintain a healthy brain that will last a lifetime. Lastly, let’s discuss brain maintenance. This is also important to achieve optimal brain health and function. Stress, let it go! It’s a killer and just not needed! Don’t stress out over things beyond your control or things you can’t change. If you’re having trouble letting it go why not try some deep breathing exercises? Learn some yoga moves or learn to meditate. Begin each day with 10 minutes of silent positive thoughts and a smile on your face. Let your brain be a calm fertile ground so it may easily welcome new learning opportunities and absorb knowledge like a sponge. The bottom line in order to achieve and maintain a healthy brain involves fueling your brain and body with exercise, feeding your brain with healthy brain foods, and maintaining a healthy lifestyle. 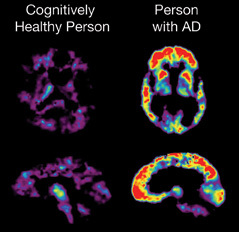 Posted on November 28, 2010, in Ageing, Aging, Alzheimer's, Alzheimer's Disease, Anti Alzheimer's, Anti Alzheimer's Disease, anti-aging, baby boomer, Baby Boomer Activities, baby boomers, Baby Boomers Activities, Brain, brain fitness, Brain Food, Brain Foods, brain health, Brain Plasticity, Build Brain Power, cognition, cognitive reserve, Dementia, executive function, exercise, health, health and wellness, Health benefits of spices, Healthy Aging, Healthy Eating, Healthy Living, Healthy spices, Improve brain function, Improve Memory, Improve Thinking Skills, judgement, judgment, Longevity, memory, Memory Loss, Mental fitness, Mental Stimulation, Prevent Memory Loss, problem solving, reasoning, Senior Activities, Senior Fitness, senior health, Spices, Spices for brain health, thought flexibility, Uncategorized and tagged Ageing, Alzheimer's disease, Anti Alzheimer's, Anti Alzheimer's Disease, anti-aging, Baby boomer, baby boomers, blueberries, brain, brain fitness, brain health, brain plasticity, Cognition, cognitive reserve, Conditions and Diseases, cranberries, dark chocolate, Dementia, executive function, Fitness, Grey matter, health, health and wellness, healthy aging, Healthy diet, judgment, longevity, memory, Memory Loss, mental fitness, mental stimulation, Neurological Disorders, Olive oil, Omega-3 fatty acid, Physical exercise, Prevent Memory Loss, problem solving, Senior Fitness, senior health, Stress, Stress management, Walnut. Bookmark the permalink. 2 Comments. I give birth to be familiar with a few of the articles on your website in the present circumstances, and I unqualifiedly like your fashionableness of blogging. I added it to my favorites net stage file and disposition be checking stand behind soon. Divert contain out my orientation as ok and fail me conscious what you think. Thanks.